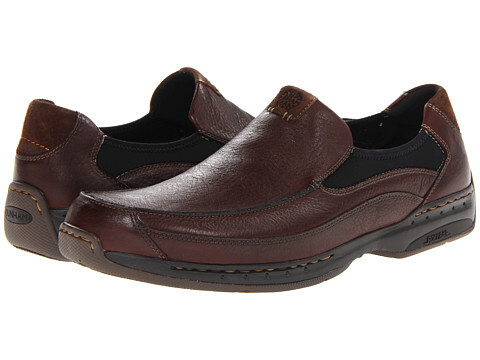 If you’re the type who likes the look of a boat shoe, but wants to dress it up a little, you’ll love our Wade slip-on. Constructed of supple full-grain leather in black or brown, this shoe has lots of extra perks, from the added cushioning of our Abzorb® pods and EVA midsoles, to removable footbeds, to extra rear foot stability from our Rollbar® technology. 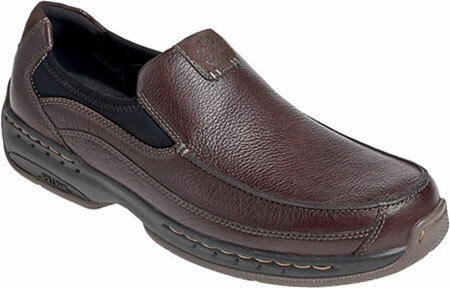 In true nautical form, it has the requisite non-marking outsole. 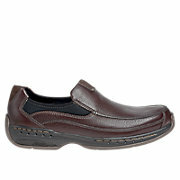 And since it’s a slip-on, it’s got the essential stretch collar for a secure fit and easy on-and-off. Sizes:(B) 9-14 (D) 7-18 (2E) 8-14 (4E) 7-18 (6E) 9-14* sizes available although not all in stock.